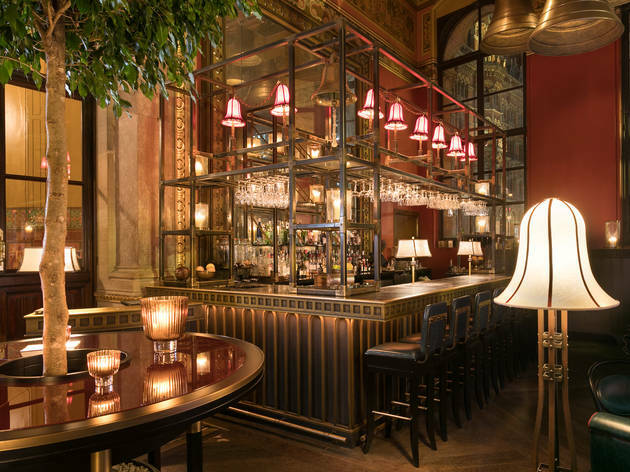 Fancy hotel bar given a slightly new identity. Ding dong! 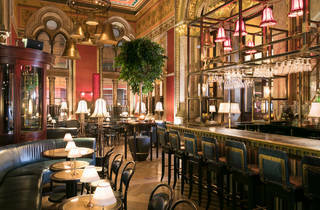 The bar inside the St Pancras Renaissance Hotel, next to Marcus Wareing’s Gilbert Scott restaurant, is looking good. 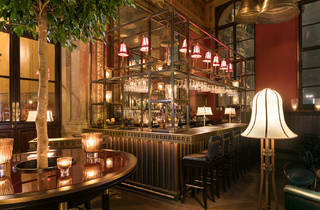 They’ve changed its name and tweaked the decor, adding jade-coloured leather, red lamps and a clutch of bushy trees. 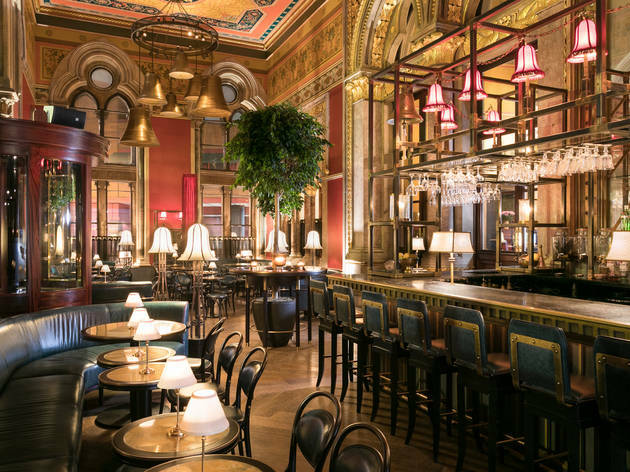 This is one of those occasions where subtle is better – this was already a jaw-dropping, tall-ceilinged room with gold accents galore and some giant church bells up on high. 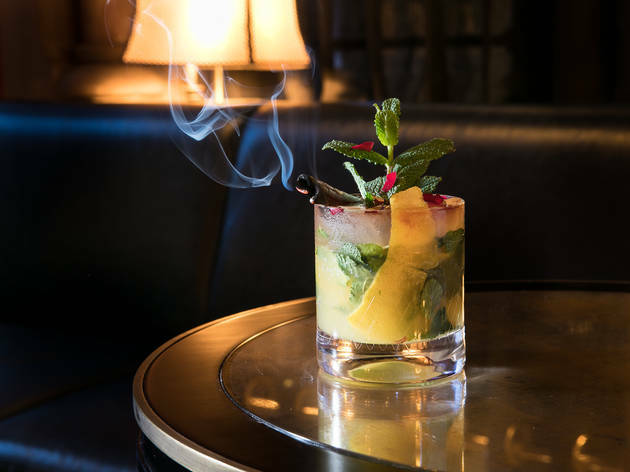 To match the shift in style, a new menu is in play. 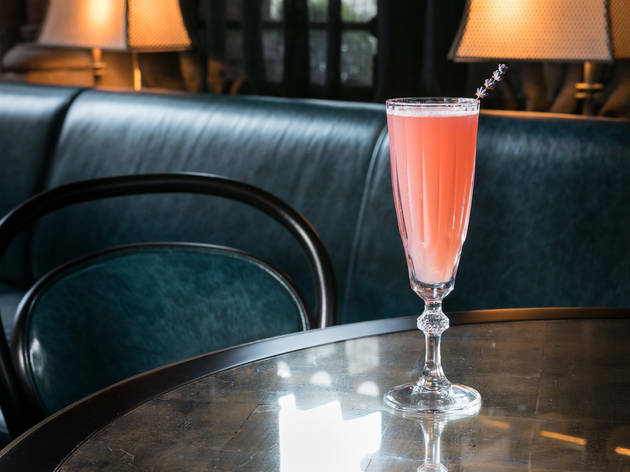 The Bee Keeper, using honey from Wareing’s new Kent farm, was a sweet floral number with a bit too much going on from lavender-infused and sloe gins, plus notes of hibiscus and elderflower. 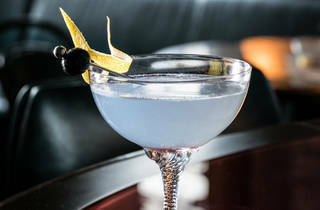 Around the room, guests sipped on lurid-looking cocktails that didn’t really match the luxe setting. 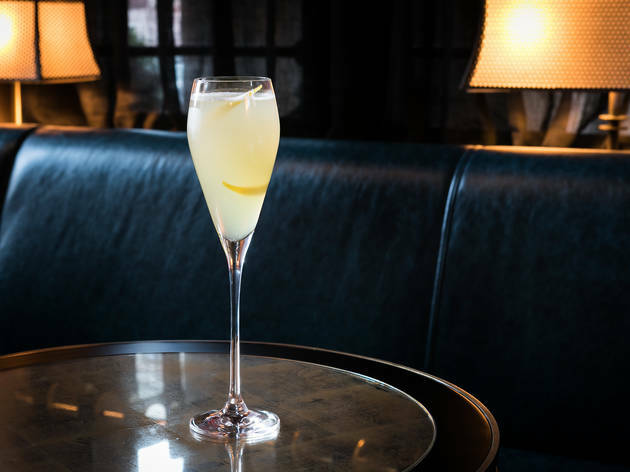 And if you want to stick to sparkling wine to suit surroundings, some delicious English options start at a galling £15 a glass. 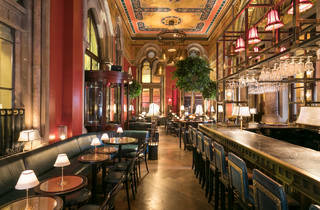 The bar snacks are possibly the best thing about George’s Bar, such as the gooey gruyère croquettes. Triple-cooked chips even came with a fancy hollandaise mousse on the side. 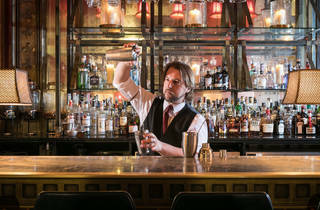 Staff were a bit more abrupt than we’d have liked for the price tag, so don’t ring out the bells about this bar just yet. 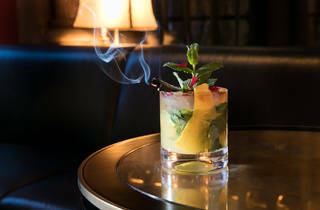 But if you’re in the area and in need of a secluded drink, this glamorous setting is as ap-pealing as ever. 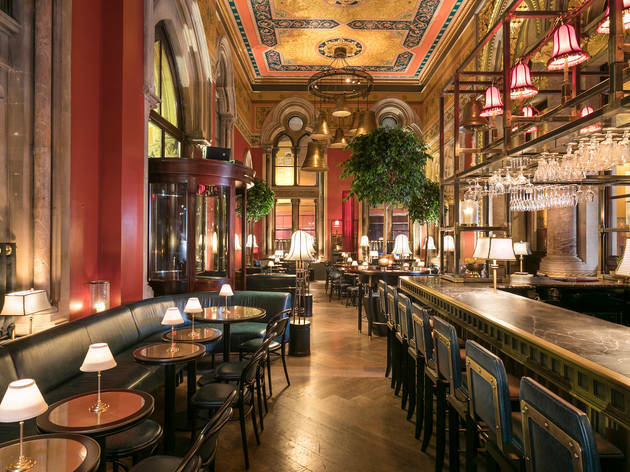 Following the redesign of the bar at The Gilbert Scott restaurant, in conjunction with David Collins Studio Marcus Wareing relaunched George’s Bar in 2018, a further tribute to the building’s original architect, Sir George Gilbert Scott. 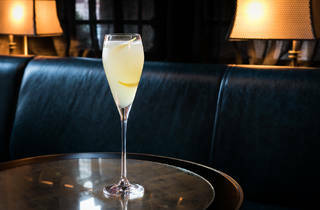 George’s Bar sees Marcus Wareing Restaurants’ collective culinary experiences applied to drinks making in show-stopping 19th century surroundings. 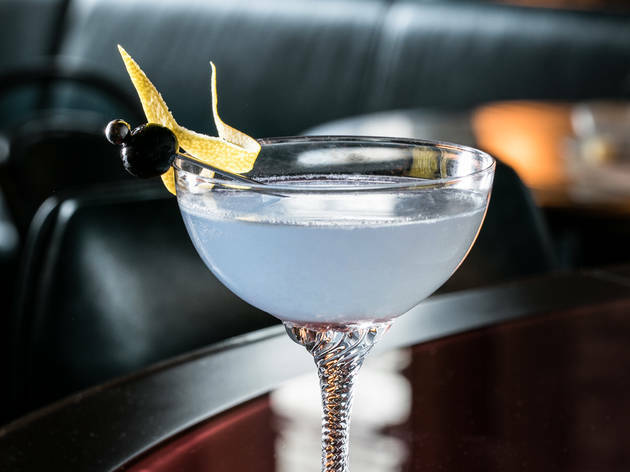 A cocktail bar from one of Britain’s top chefs, this is a team who understands ingredients and flavour. 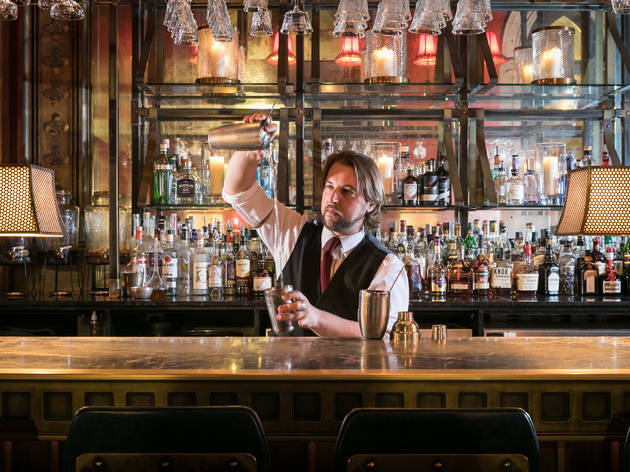 Marcus Wareing and the team are dedicated to re-establishing George's Bar as one of most iconic bars in London, creating an environment which is intimate, welcoming and creative. 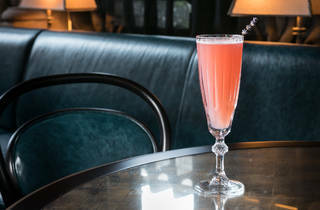 The carefully curated drinks list sees each cocktail inspired unique flavour combinations, along with cuvées from Champagne’s oldest wine house, Gosset, house selection of wines from The Gilbert Scott, selected craft beers, and a number of homemade tonic infusions, accompany the other spirit offerings.